Some of the world’s largest earthquakes have occurred in North America or South America and more will undoubtedly occur in the future. To be able to prepare for future earthquakes, it is important to understand the ones that have occurred in the past. Earthquakes occur when there is movement, or slip, along a fault. In the Americas, earthquakes most commonly occur along the west coast, where the rocks have been deformed into many different faults and folds (Hyndman & Hyndman, 2010). However, they are not limited to the coastlines and do occur inland as well. Figure 1: Seismic Hazard map of the Americas. Ground Acceleration increases from white to brown (Shedlock & Tanner, 1999). Tectonic setting largely determines the type of faulting that generates an earthquake. Generally, strike-slip faults are associated with transform boundaries, normal faults with spreading zones and thrust faults with convergent boundaries (Hyndman & Hyndman, 2010). The San Andreas Fault, a 1200 km long transform fault that stretches across the west coast of California, causes many earthquakes. Between the years 1920 and 1994, a total of 17 earthquakes larger than magnitude 4.8 have occurred in the Los Angeles region (Hyndman & Hyndman, 2010). The fault has accumulated a total displacement of 235 km since it started to slip, 16 Ma ago (Hyndman & Hyndman, 2010). There are many blind thrusts (thrust faults that do not break the surface of the Earth) located around the San Andreas Fault (Hyndman & Hyndman, 2010). Their existence is often unknown until an earthquake ruptures, making them extremely dangerous for the population living around the area. For example, the 1994 Northridge California earthquake had a magnitude of 6.7 and led to the discovery of the Pico thrust fault, which had previously been unknown (Hyndman & Hyndman, 2010). The offset caused by this earthquake never reached the surface of the earth, only rupturing to a depth 5 km beneath the surface (Hyndman & Hyndman, 2010). Hutton et al. monitored earthquakes in Southern California for 77 years, from 1932 to 2008. During that time, they found that the largest earthquakes were the 1952 magnitude 7.5 Kern County earthquake, the 1992 magnitude 7.3 Landers and the 1999 Magnitude 7.1 Hector Mine sequences (Hutton et al., 2010). These events all ruptured along slow-slipping faults, away from the San Andreas Fault (Hutton et al., 2010). 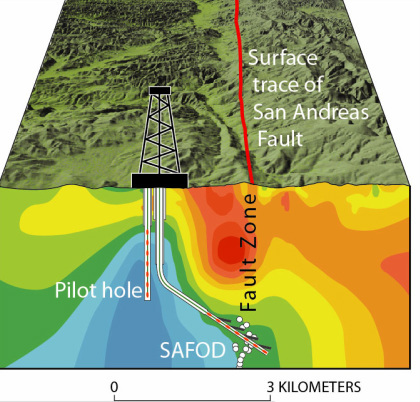 Figure 3: Cross section of the San Andreas Fault taken at Parkfield. Two drill holes are shown which are for the San Andreas Fault Observatory at Depth. Red represents rocks of low resistivity and blue represents rocks of high resistivity (U.S. Geological Survey, 2012). The Basin and Range of Nevada and Utah has multiple northward trending normal faults, separating mountain ranges from valleys (Hyndman & Hyndman, 2010). The Wasatch Fault is Utah’s largest normal fault and has been active for 15 million years (Eldredge, 1996). It is divided into 5 segments: Brigham City, Weber, Salt Lake City, Provo and Nephi (Eldredge, 1996). Although no large earthquakes have occurred since settlement in the area, geological studies indicate that there have been approximately 19 surface-faulting earthquakes along the fault over the past 6000 years (Eldredge, 1996). Using evidence from prehistoric earthquakes, it has been calculated that a large earthquake occurs along the fault approximately every 350 years (Eldredge, 1996). Based on the amount of displacement created by prehistoric earthquakes, the length of past fault ruptures and comparisons with other similar setting earthquakes, a magnitude 7.5 earthquake is expected to occur at some time in the future (Eldredge, 1996). Tectonic history of the Wasatch Fault (Utah Geological Survey, 2013). The two largest earthquakes on record both occurred in the Americas and along thrust faults at subduction zones. They are the 1960 magnitude 9.5 Chile earthquake and the 1964 magnitude 9.2 Great Alaska Earthquake (Plafker, 1972). Both occurred in areas where oceanic plates are subducting beneath the American plate (Plafker, 1972). The most important subduction zone in North America along which earthquakes occur is the Cascadia subduction zone, where the Juan de Fuca plate is subducting beneath the North American plate. This active subduction zone stretches approximately 1200 km, from northern California up to British Columbia (Hyndman & Hyndman, 2010). This subduction zone caused one of the world’s largest earthquakes, the magnitude 9 Cascadia Megathrust earthquake of 1700 (Hyndman & Hyndman, 2010). The subduction in the area has also created the Cascade chain of volcanoes and mountains. For more information on the earthquakes and volcanism related to the Cascadia subduction zone, refer to the Juan de Fuca, Explorer and Gorda tectonics plates page here. Figure 4: Cascadia Subduction Zone (U.S. Geological Survey, 2012). Perhaps the most dangerous types of earthquakes are those which occur within continental plates, in other words, intraplate earthquakes. These earthquakes often occur without warning in places that are not prepared for such catastrophes. The causes of these types of earthquakes are often unknown (Hyndman & Hyndman, 2010). There are historical records of earthquakes lasting for several months at a time during the years 1811 to 1812 in New Madrid seismic zone, an area extending South-West from New Madrid, Missouri (Tuttle et al., 2002). Geological evidence in the rock record indicates that earthquakes such as the 1811 and 1812 are approximately magnitude 7 (Tuttle et al., 2002). Earthquakes of this size have occurred on average every 500 years over the past 1200 years (Tuttle et al., 2002). History of the New Madrid Earthquakes (Tuttle, 2011). For a list of the largest magnitude earthquakes in the world since 1900, click here. Eldredge, S. N. (1996). The Wasatch Fault (Vol. 40). Utah Geological Survey. Hutton, K., Woessner, J., & Hauksson, E. (2010). Earthquake monitoring in southern California for seventy-seven years (1932–2008). Bulletin of the Seismological Society of America, 100(2), 423-446. Hyndman, D. W., & Hyndman, D. W. (2010). Natural hazards and disasters. Brooks/‎Cole Cengage Learning. Plafker, G. (1972). Alaskan earthquake of 1964 and Chilean earthquake of 1960: Implications for arc tectonics. Journal of Geophysical Research, 77(5), 901-925. Shedlock, K. M., & Tanner, J. G. (1999). Seismic hazard map of the western hemisphere. Annals of Geophysics, 42(6). Tuttle, M. P., Schweig, E. S., Sims, J. D., Lafferty, R. H., Wolf, L. W., & Haynes, M. L. (2002). The earthquake potential of the New Madrid seismic zone. Bulletin of the Seismological Society of America, 92(6), 2080-2089.